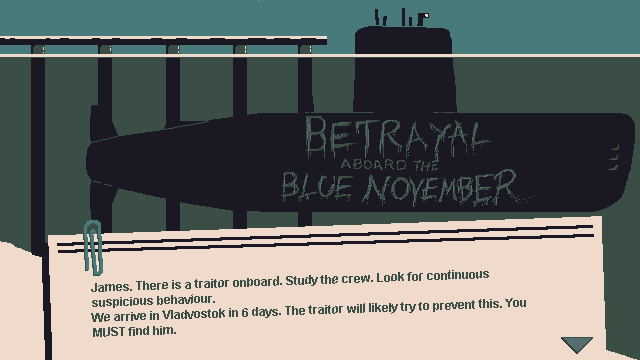 There is a spy aboard the Blue November. 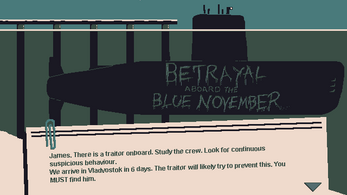 The captain has entrusted you to uncover their identity before you reach your destination. 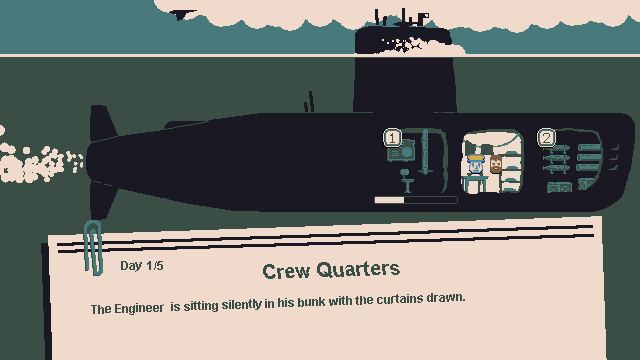 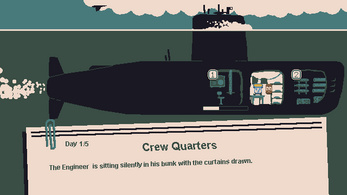 Follow crew members around the submarine and let suspicion carry you into a place darker than the darkest seas.